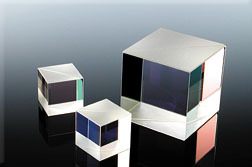 These cube beamsplitters provide a very good control of split ratio for an individual wavelength. 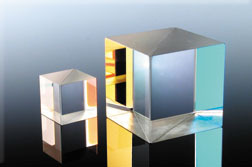 Since the Beamsplitter coating is internal to the cube there is no risk of scratching. 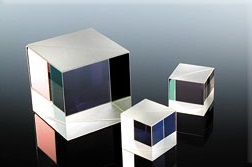 All four external faces are anti-reflection coated. 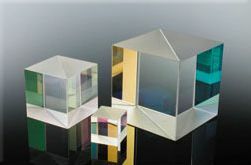 Since the two prisms which form the cube are cemented together these can only be used for relatively low power applications. 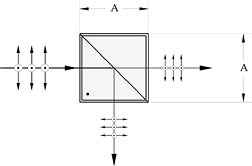 For custom applications, the coating can be adjusted to provide the required split ratio for either s or p component or equalized between the two so please specify the polarization state of the incoming beam. Please contact the Lambda sales team for more information.